Owned by Drew and Jesse, BuxVertise with a PayPal account set up in 2009 assures you of its reliability as a PTC website. 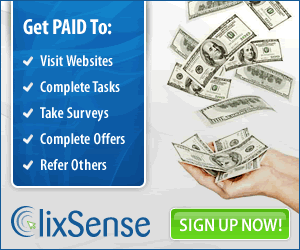 By viewing ads, you can earn $0.001 to 0.00225 per ad click. You get 150% of your click if you upgrade to Buxer account, while an upgrade to Eternity will get you 200% of your click and 200% for your referral clicks. As a free member, you will receive 2% commission on purchases made by our referrals. Alternatively, an upgrade member gets a 5% commission. A free member has plenty of options to earn aside from clicking ads like: through adworkmedia, peanutlabs, superrewards, trying your luck in wheel of bux, paid to promote by icon cash, complete offers and on buxgrid. You can also get points which can be exchanged later on to buy balance via deposits and obtain direct referrals. BuxVertise offers a downline builder feature that allows you to create a personal page that can include your top 5 websites (or whatever) together with your BuxVertise referral link. GridBox is similar to viewing advertisements, but no earnings. You only receive cash prizes if you are lucky. The fact that BuxVertise is a legitimate site with plenty of earning potential outweigh its being new as a PTC website. The downline builder is also a very excellent feature because you can have your top 5 websites on your personal page. Its owners are enough assurance that this site will definitely stay.